David Bunei, General Manager (GM) for Cisco East Africa and IOI explains how the Cisco EDGE Hub works to Dr. Katherine Getao, CEO ICT Authority. NAIROBI, Kenya, Apr 5 – Cisco has announced the launch of a Sh69 million Incubation HUB in Kenya to be hosted at the University of Nairobi. 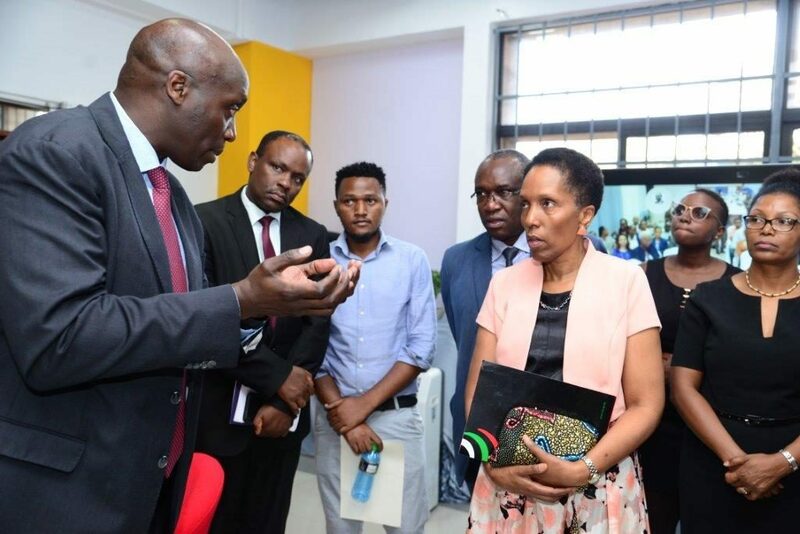 This Incubation Centre, which is a first for Cisco in East Africa and the second in Africa, having launched a Hub in South Africa last year, aims to impart business knowledge and speed up access to market for Small Medium and Micro Enterprises (SMME’s) in the ICT space. The hub offers complete business facilities including workspaces with high-speed broadband connectivity, video conferencing and collaboration platforms, as well as boardroom and training facilities. “We are proud to be part of the Kenyan economic growth through the creation of jobs and creating a business environment where entrepreneurs can thrive. The centre is targeting to enable small-medium business to accelerate their growth through access technologies that are globally competitive,” said General Manager (GM) for Cisco East Africa and Indian Ocean Islands, David Bunei. “Cisco recognizes that Kenya’s Big Four Agenda and one of the drivers of this is technology as the country accelerates towards achieving vision 2030. We want to contribute to the country’s job creation efforts via support to small medium businesses,” added Bunei.